Triangle Paratha – This is a easy version of layered paratha perfect to pack for kids lunch box as it stays soft for a longer time. Happy holi and happy womens day too all! Take all the ingredients in a dry bowl except water and mix well. Then add water to make a smooth pliable dough. Keep aside for 30mins – 1 hour. Knead it once and roll into lemon sized balls, I got 7 balls. Using a chapathi roller roll out to a thin circle then add few drops of ghee and spread over evenly. Then fold to a semicircle, apply and spread ghee evenly. Then fold it again to form a triangle. Roll it to a thin roti or to desired thickeness, dust flour if it sticks. Heat tawa and add the roti carefully. Once bubbles starts appearing turn to other side,. Cook on both sides till brown spots starts appearing. 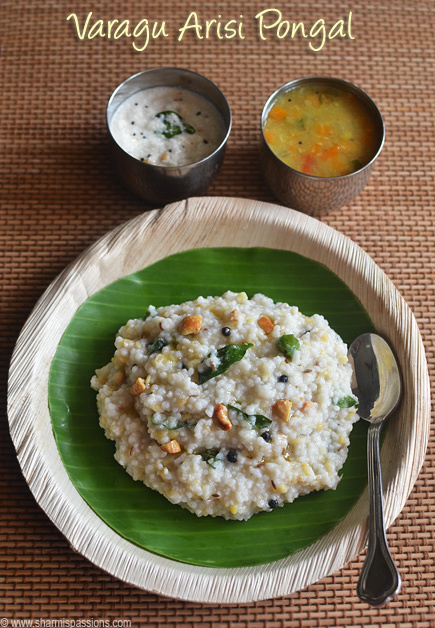 Serve with any pickle of your choice or with onion raita or just plain curd. I didnt add oil while toasting, if you want you can add it. This type of layered paratha stays softer for a longer time. 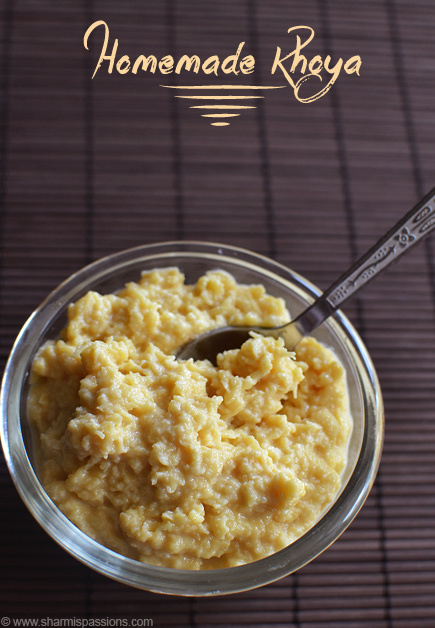 You can also add omam(ajwain) replacing jeera but personally I like jeera so have given that here. Lovely looking parathas. perfect lunch box idea. I too make the same way. Looks inviting. Nice clicks. i luv the layers of the chappathi..Nice idea! Love these parathas, I usually add ajwain instead of jeera to this..
Super puffed up rotis! Looks tempting! Loved the click showing puffed roti! 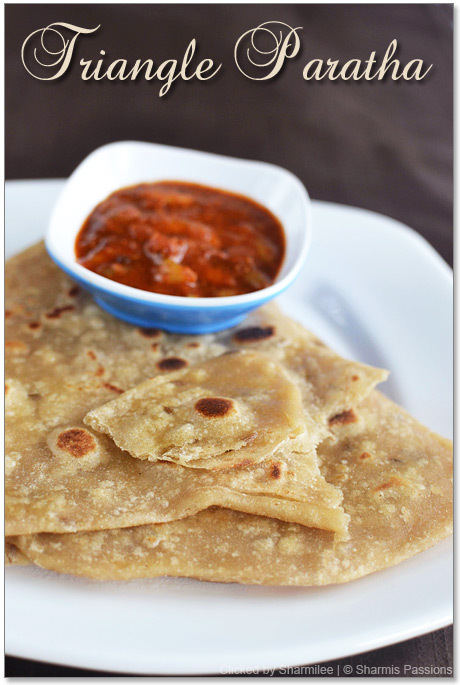 Love the flavors added..yummy paratha..
i love this paratha..i make this often.. Thanks a lot for sharing the step by step triangular rotis. 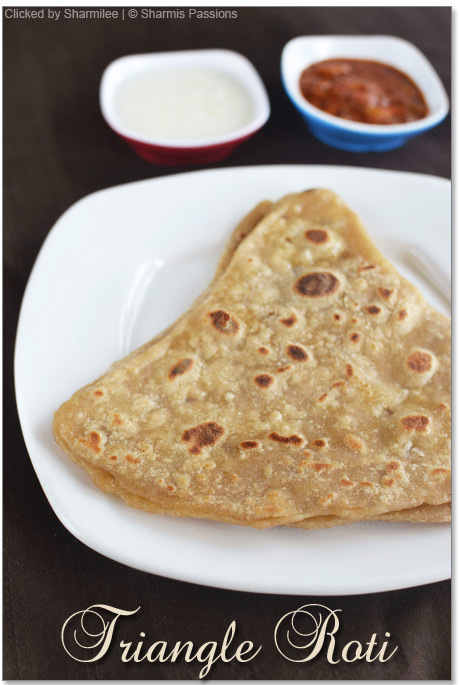 Simple and healthy paratha…my anytime favourite.. 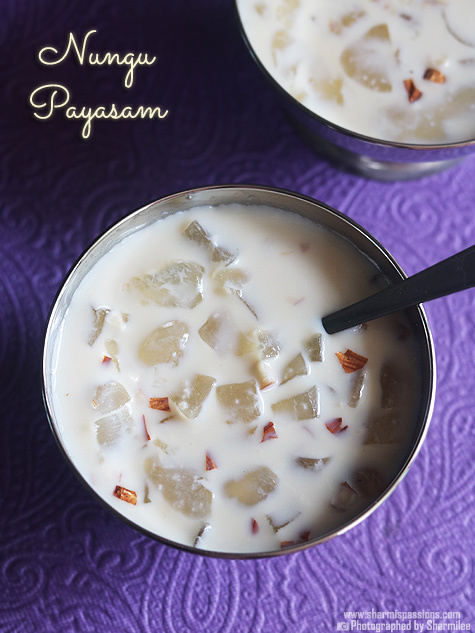 I make it the same way too and sometimes I add ajwain. 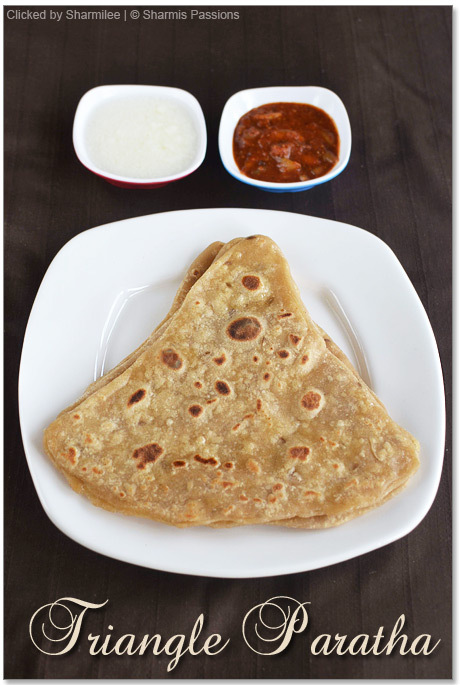 wow…perfect Triangle Parathas…looks so soft n fluffy!! 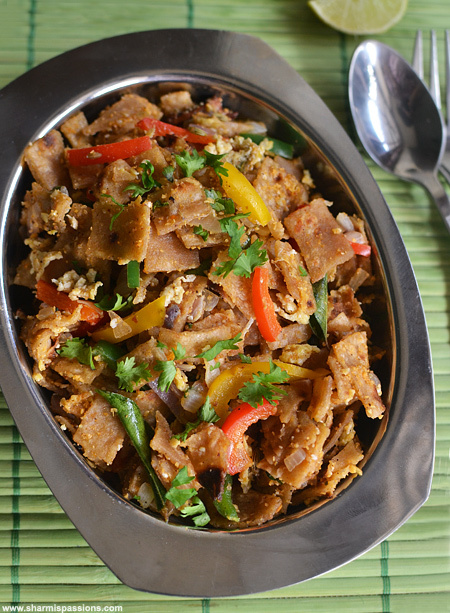 Lovely triangle parathas.. I like to add kummel seeds too sometimes.tastes really good. I make this once in a blue moon but absolutely love it.. 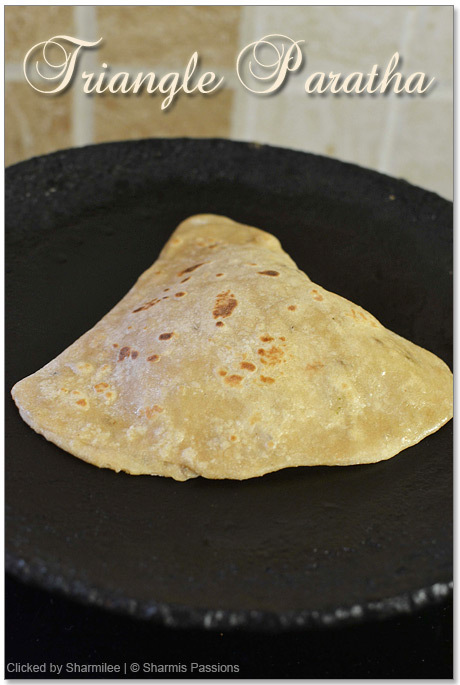 I too love the triangular parathas,my mil always makes this whenever she makes chapathi.The flaky chapathis taste so good even after cooling down! lovely.. i also make it the same way.. lovely clicks! Parathas looks perfect and yummy…looks tempting. I too use to make same parathas but now a days i making them in square shape. when i roll the tringle shaped paratha corners remain very thick. 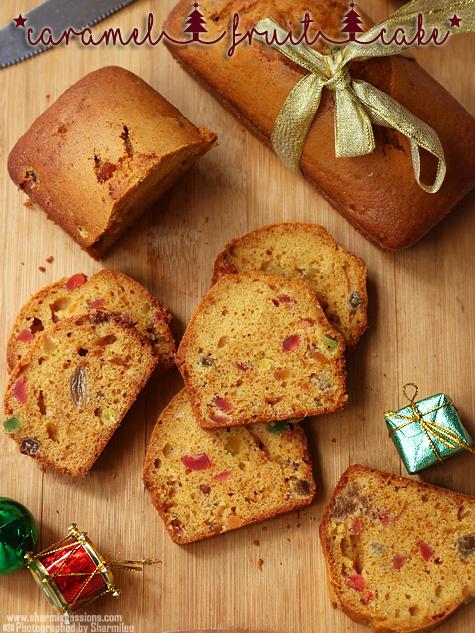 Tasty recipe and very perfect paratas. This is my all time fav. My mom used to make it, but i don't have the patients to do it. Perfect looking pictures Sharmi. YUM! Chapathi looks so fantastic sharmi lovely pic. Nice, love this shape. Must try sometime. Hi Sharmi..thanks for the post as it rekindled my memories..my mom used to make this..now cos of your post i made it yesterday for my kids..it was awesome..thanks sharmi..
Great pics, my kids love this shaped paratha !!! 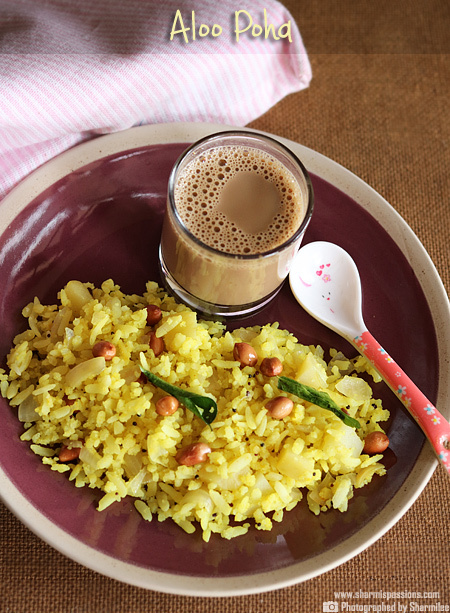 awesome recipes… ur reciped helps me a lot to improve my cooking… thank u… I like ur blog a lot..